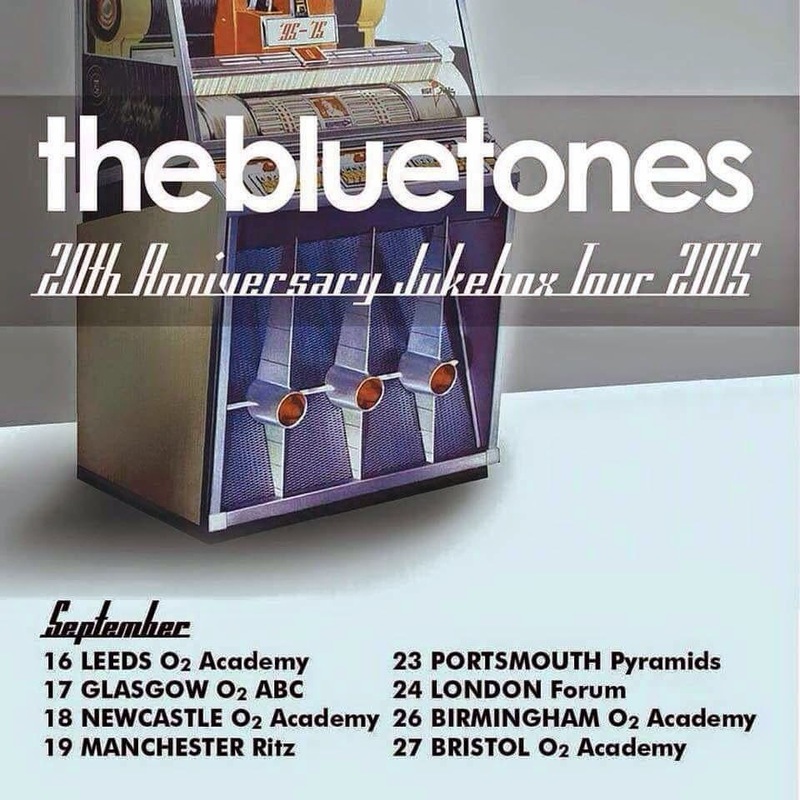 It's been four long years since The Bluetones called it a day with a series of celebratory gigs. They're back again with a series of tour dates in September to celebrate their twentieth anniversary of being a band. We spoke to guitarist Adam Devlin about what they've been up whilst they were away, his highlights and lowlights of the band's career and his burgeoning Twitter following. The Bluetones formed in 1993, released their debut single in 1995 (hence the 20th anniversary celebration) and very quickly became a household name with their third single Slight Return reaching number 2 in the charts in 1996 and the subsequent release of their debut album Expecting To Fly knocking Oasis' What's The Story Morning Glory off the number one spot. They continued to have hit singles from the albums that followed - thirteen Top 40 singles and three top 10 albums to be exact. Those other albums - 1998's Return To The Last Chance Saloon, 2000's Science And Nature, 2003's Luxembourg, 2006's The Bluetones and 2010's A New Athens - were released with diminishing returns as the band felt the backlash of Britpop and the NME. They called it a day in 2011 after a sold-out farewell tour of the UK and front man Mark Morriss released a second solo album A Flash Of Darkness. Last week however they announced their intention to return to celebrate twenty years (and if that doesn't make you feel old, it does us) since their first release on Fierce Panda. Guitarist Adam Devlin was kind enough to answer a few questions about the reasons they're back together and what he's been up to in the interim. So it's been four and a half years since The Bluetones bid adieu and sailed off into the sunset. What has made you decide to come back now? I think secretly we've all been itching to do it but you've got to be a bit respectful and not announce a comeback five minutes after your farewell, that's becoming a bit of a well trodden path. We've all done other live bits and pieces since then, especially Mark who's touring a lot. But it's not the same as being in each other's company, we've really missed that. We were aware that the 20th anniversary of our first record was looming, that's what persuaded us to do it now, if we didn't do it now we might never do it. What have you been doing in the interim? In the musical sense I've pretty much pleased myself, I've tried being a jobbing session guitarist but I didn't work much and I really didn't enjoy it, consequently most of my projects have been labours of love. I made an album last year with Lillian Todd Jones that I'm praying will see the light of day because it's a fantastic record. This year so far I've also made an album with Thee Cee Cees (The Concerned Citizens), it's a revolutionary socialist concept album that was recorded in three days and is designed to topple the government, time will tell on that one but I'm very proud of my part in that band. You've taken to Twitter and blogging and picked up an audience that might not have heard of The Bluetones. Do you think that's something bands of our generation have missed a trick on? No, not really, I think bands of our generation were on the cusp of that shift, in a way I'm glad our time was before the spread of social networking, bands now have to be so savvy to maximise their profile on social media, I'm glad we didn't have to do all that. I use my Twitter account largely to muck around, you can speak with a million different voices on Twitter, then you leave it to people to work out which one is your voice, it gets me in to trouble but I enjoy that too, I do plug stuff I'm flogging too though, sometimes I feel a bit uncomfortable doing it but I do it anyway, it'd be insane not to. You went out and played with Mark when he was touring his last solo album. Did it feel strange playing songs with him that didn't have The Bluetones name on them? No, I actually enjoyed it more because it wasn't The Bluetones. There was often some audience pressure to do Bluetones songs but that was never the point. They were Mark Morriss gigs to promote his second album, he just happened to have myself and Eds included in his band. For a few of those shows it was all four of us onstage and it genuinely quite liberating playing together but not being The Bluetones. There's already been a lot of press about the shows you've just announced, far more than when you were out and about releasing albums. Do you think with hindsight you missed out on the wave of bands coming back and getting a new wave of fans with the hype around it by continuing to go out and tour at least once a year from the mid 1990s until you split? There's inevitably more press around farewell tours and reunions, I really don't think we contemplate things in business terms, maybe we should be doing that but we don't, we didn't sit down and calculate the most beneficial dates for our goodbye and our reunion, they've just happened when the time felt right. It felt right to knock it on the head when we did for numerous reasons, and now it feels like the right time for us to re-emerge. It does to us anyway. If no-one shows up, we're still doing it. Have you sat down as a band and discussed what you're going to be playing in September yet? No. We haven't even sat down as a band this year. Scott lives in Tokyo these days so the logistics aren't easy. We won't work that out until we go into rehearsals the week before the tour. When you look back at the fifteen or so years you were together, what were the highlights of that time? Firsts I think, the first time we went to Japan, the first time we did Top Of The Pops, the first time we played Glastonbury. Those all live strong in the memory. We also got to see the world, that's probably the ultimate highlight. We grew up in the shadow of Heathrow Airport watching other people flying off to amazing places, it's only fair we got our chance. And the lowest points. Will you be going back to Rostock? To be honest the low points were the things that went on in the background, record label problems, we had a particularly devastating end to our relationship with our long term manager which is far too complicated and depressing to go into here, stuff like that. The foreground was always pretty harmonious. Even that Rostock gig which you refer to, that was a gig we played on a Sunday night in a godforsaken outpost of East Germany to nine people, but it was a brilliant night. We had all nine of them in the dressing room til the wee small hours. Nights like that belong in the highlights. And your three favourite Bluetones songs. I honestly can't answer this because it constantly changes. If I give you three they would have changed by the time this goes to press. Soz. 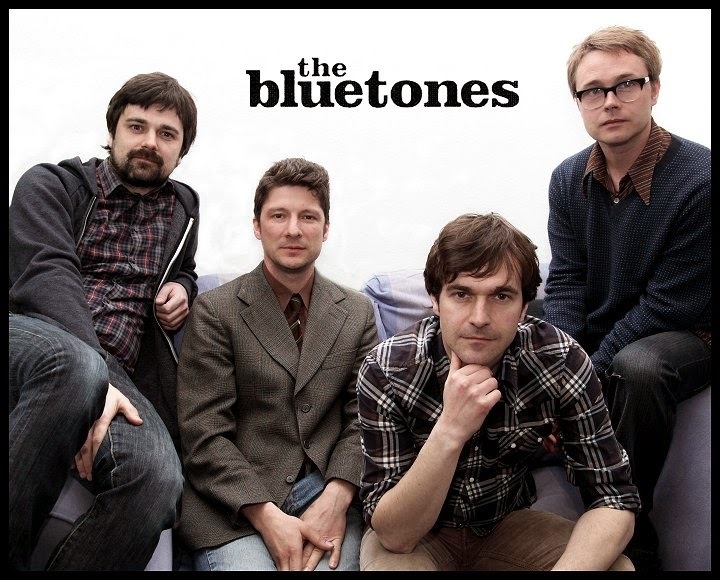 The Bluetones' official website can be found here. They are also on Facebook and Twitter. Adam Devlin's blog can be found here and he is also on Twitter.